Whistling Woods International (WWI), Asia’s premier Film, Communication and Creative Arts Institute has always upheld initiatives related to art and culture close to its heart. 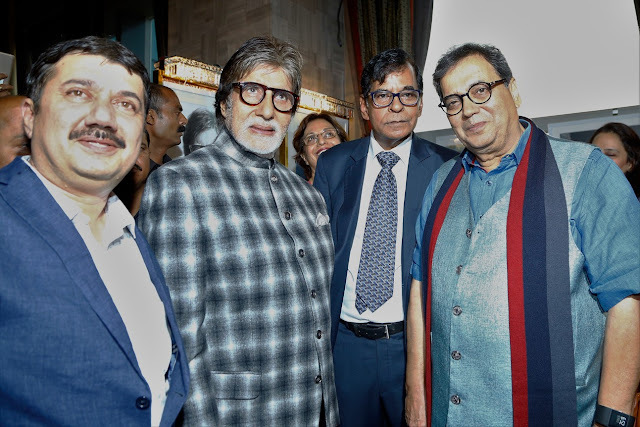 To reinforce this endeavour, WWI has joined hands with celebrated photojournalist Pradeep Chandra and eminent film historian S M M Ausaja to commemorate the superstar Amitabh Bachchan’s 75th birthday. Together, they have curated a unique show titled ‘Frames 75’, which will exhibit rare and never-seen-before photographs, paintings, sketches, posters, block print art, vinyl LP covers, lobby cards and hand-bills in 75 frames to applaud the superstar’s journey. Amitabh Bachchan made the grand inaugural preview of this unique exhibition at St Regis, Mumbai. 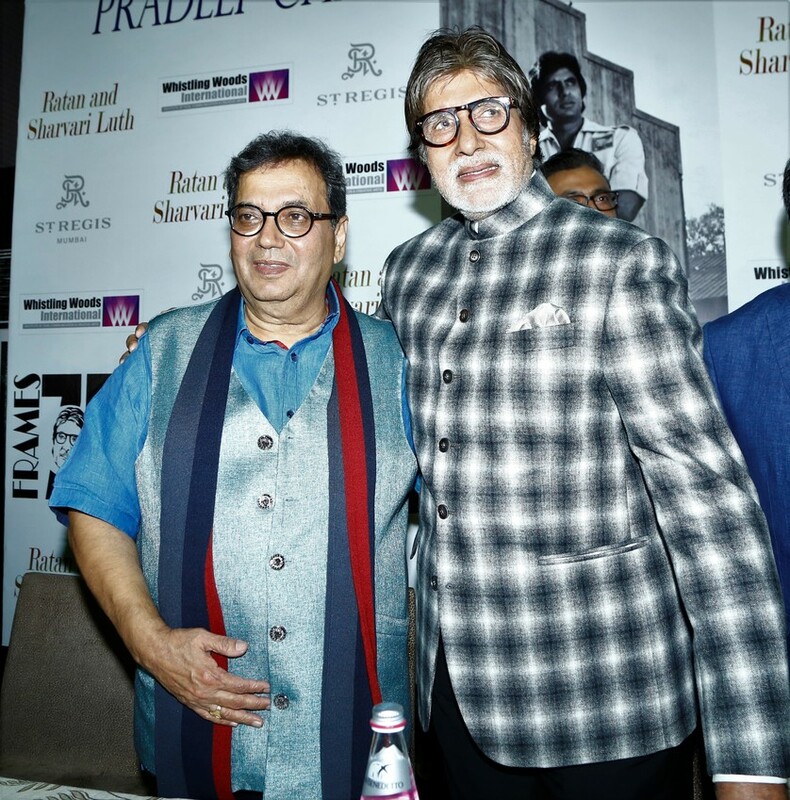 The event witnessed stalwarts from the film fraternity, media and art world. 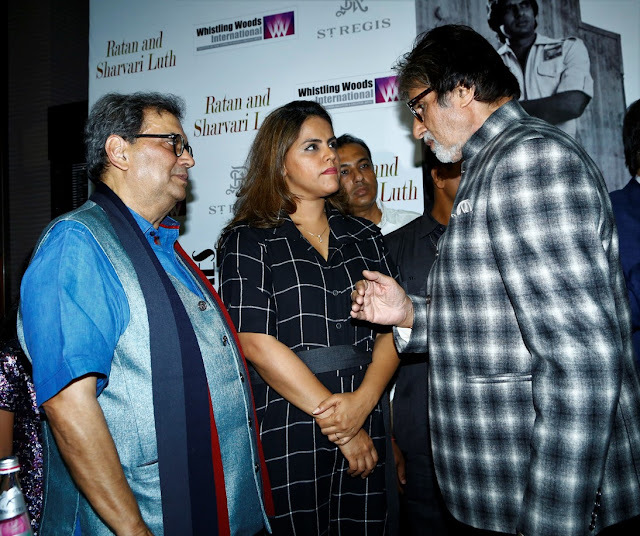 The exhibition scheduled between May 10-25th will open doors to film lovers, art enthusiasts, Amitabh Bachchan fans and the film and media students of Whistling Woods International to witness the unique exhibition. “Whistling Woods International takes pride in supporting and encouraging various art forms and talented artists. We are delighted to associate with FRAMES-75- the exhibition curated by Pradeep Chandra and S M M Ausaja and would like to congratulate the duo. 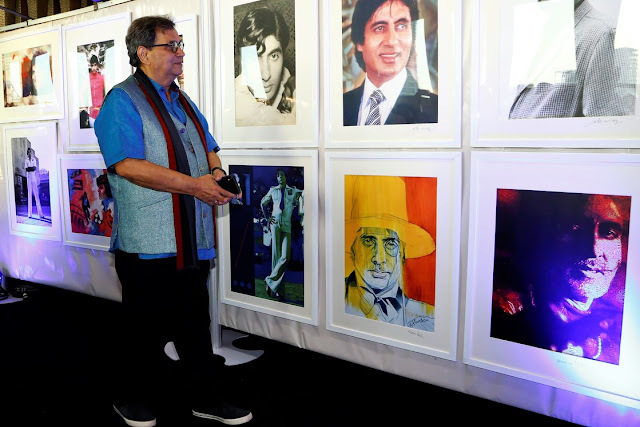 They have showcased a unique and never-seen-before tribute to the legendary actor Amitabh Bachchan in his 75th year. I would like to encourage all cinema lovers to witness this grand exhibition which is a treasure of legacy that will be passed on to the future generations, for years to come”, said Subhash Ghai, Founder & Chairman, WWI. This one-of-a-kind exhibit will again be displayed for the public during WWI’s annual event dedicated to films, music, fashion and creative arts – Celebrate Cinema in September 2018.